Database Design and SQL for DB2 engages readers with a hands-on approach that provides start-to-finish coverage of database design and SQL, IBM's strategic language for the IBM i integrated database. This book is designed for professional application developers and college-level students who want to become developers. This is also an ideal book for developers coming from other database platforms. For many developers, this book can serve in place of IBM's database-related manuals. All the essential SQL and related DB2 topics are covered, from an introductory to an advanced level. Each chapter includes comprehensive explanations and numerous examples. In addition, the companion website for this book provides additional examples of embedded SQL as well as using client-side technologies such as jQuery, JSON, and AJAX with RPG web applications. You will find Database Design and SQL for DB2 immediately useful, whether you are just beginning to learn SQL or you are an experienced developer. And you will turn to this book time and time again for quick answers to the best way to design and implement database applications. James Cooper has spent his entire career on IBM systems, including the System/34, System/36, AS/400, and now the System i. He worked as a software developer for many years before moving to the education sector. For more than 25 years, Jim has been Program Coordinator and Professor in the Computer Studies Department at Lambton College in Sarnia, Ontario, Canada, where he teaches database design, SQL, programming, and Web technologies. Currently, his main focus is client-side Web technologies, including AJAX, JSON, and jQuery Frameworks with RPG server-side programming. Jim has presented at COMMON and other user group meetings and technical conferences. 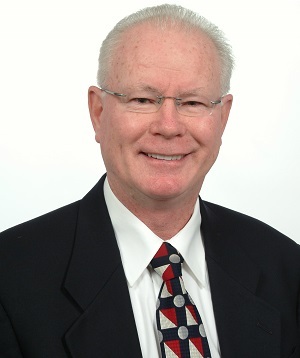 From 1995 through 2001, he served as Director of the IBM Roundtable College Conference, an IBM international conference held annually for colleges teaching IBM i technologies. As Director of this conference, he received an honorary award from IBM for his efforts with the IBM Academic Initiative Program and the Roundtable College Conference. Jim has also authored two textbooks on RPG and COBOL programming with John Wiley & Sons Publishing.